Noted educator, businesswoman and social entrepreneur, Barbara has used her skills and ability to empower others to create social change. 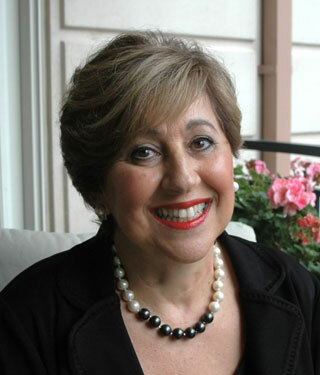 She began her career as a teacher, developing curriculum for at-risk youth, and later directed Eisenbud & Associates, an executive search firm that specialized in recruiting physicians and healthcare executives nationally. As a leader in this field, she presented frequently on human resources issues at conferences. In 1995, she founded Champions of Caring, a non-profit organization that has empowered more than 10,000 youth in Philadelphia and South Africa to become leaders in service and active, engaged citizens. The daughter of Holocaust survivors, Barbara’s mother was incarcerated in the Auschwitz Concentration Camp and is the sole survivor of a family of 65 people. Her father worked for Oskar Schindler, on whose story Steven Spielberg’s film Schindler’s List was based. This family legacy, coupled with her professional experience and work with Champions of Caring, have motivated Barbara to help others to live their legacies. For 20 years, Barbara has created programs that have inspired and empowered youth with the skills to create service projects to address local and global issues and create cultures of caring within their schools and communities. With her strong background in human resources, entrepreneurial spirit, and 30+ years speaking publicly, Barbara created Embrace Your Legacy to share her message and encourage youth and adults of all backgrounds, locally and internationally, to embrace and live their legacies. Barbara often is called upon to share her message at community events, conferences and workshops. Her audiences include corporations, financial advisors, universities, educators, faith-based communities, women’s groups, service organizations, trade associations and professional groups. Through speeches, workshops and consulting, she shares her highly effective and replicable 10-step approach to provide participants with the necessary tools to create social change in an informed and creative way. Barbara earned her bachelor’s degree in psychology and education from Hunter College in New York City, and a master’s degree in education from North Adams State College in Massachusetts. the Women’s Division of the Jewish Federation of the Berkshires and the Memorial Committee of the Six Million Jewish Martyrs for the Greater Philadelphia Jewish Community Relations Council. Residing near Philadelphia, Barbara speaks five languages and loves to travel. Her greatest joys are her children and grandchildren.